Landon Lockhart, a graduate research assistant at UTIG and PhD student at the Jackson School of Geosciences, has received third prize in the Halliburton Landmark Earth Model Award 2018 for his master’s thesis on pore pressure prediction. The Halliburton Landmark Earth Model Award is an international geoscience competition that rewards excellence in master’s level research. Landon was one of three winners chosen out of over sixty applicants from across the world. As third place winner, Landon receives $1,000 cash prize and will be invited to present his research at a Halliburton Landmark industry event. The University will also receive a matching financial donation. His master’s thesis, ‘Pore pressure prediction: from vertical stress to mean stress to the full stress tensor’, was a detailed analysis of methods used to predict pressure when drilling and demonstrated how a new technique called full stress tensor (FES) could help make drilling safer. 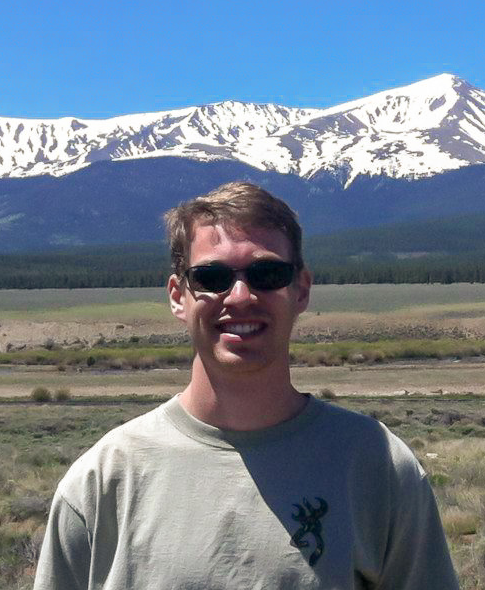 Landon joined the University of Texas Jackson School of Geosciences as a Geosciences Master’s student in 2015. After graduating in Fall 2018 he completed an internship at Peregrine Petroleum and has now rejoined the Jackson School as a PhD student. He continues to work at UTIG as a graduate research assistant where he is also part of UT GeoFluids, an industry-funded consortium which studies pressure, stress, deformation and fluid migration in layers of rock deep underground: the results of those studies help industry conduct safer and more productive drilling. Landon’s current research uses data gathered at the Mad Dog Field in the Gulf of Mexico to help further develop FES as a method to predict pressure at deep water drilling sites. His research is especially useful to exploration companies seeking to explore oil and gas reserves trapped beneath a salt layer located deep in the Earth’s crust beneath the Gulf of Mexico. Landon is co-advised by Maria-Katerina Nikolinakou a research scientist at the Bureau of Economic Geology and the Jackson School of Geosciences, and Peter Flemings, UTIG senior researcher and Jackson Chair in Energy and Mineral Resources at the University of Texas. The Halliburton Landmark Earth Model Award was established as the Neftex Earth Model Award in 2012, in affiliation with the Geological Society of London. This is the first time the prize has been awarded to a student from a university in the US. Congratulations Landon!